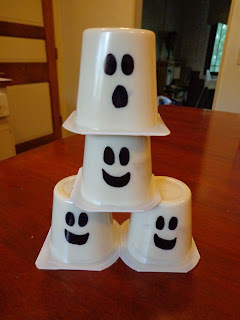 Three Ghost Friends Pudding Cups -- I think I should give these out for Trick or Treat! I bought the pudding at our local grocery store. 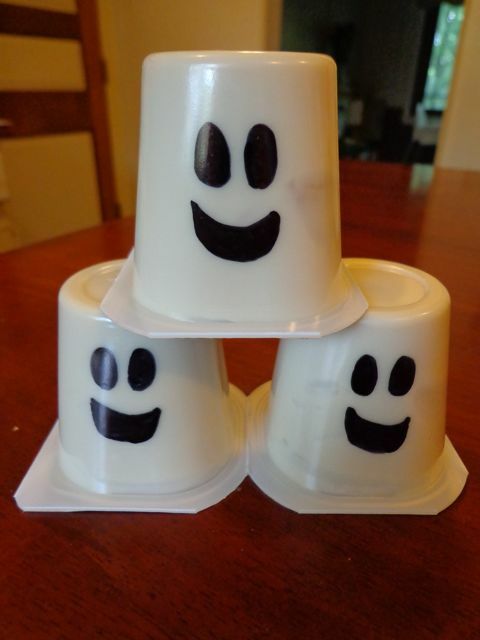 These were the store brand pudding cups. I chose the sugar-free vanilla over the regular vanilla because the pudding was more white. I decorated these with a Sharpie marker. However, I could see my children having lots of fun drawing ghost faces on the pudding cups to pack in their school lunch in October!